Drink sufficient quantities of water: 1 to 1,5 liters per day. Drink regularly, during meals but also throughout the day. Avoid sodas and sweet drinks because they are highly calorific. Avoid consuming coffee, it is a stimulant which it is advised to avoid for a few weeks. Soups that have a lot of vegetables, (carrots, potatoes, leeks.) are nutritious and contain lots of fibre. They are not very calorific, about 100 to 130 Kcalories per 250 ml bowl. Soups offer a great feeling of satiety. 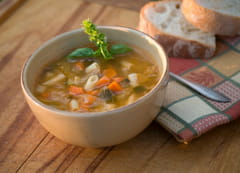 Vegetable soups and soups can be prepared at home in less than 20 minutes. 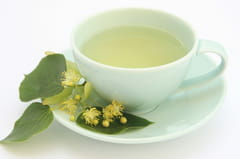 Drink herbal teas such as lime, mint or camomile, before going to bed: they are low in calories and will help you to sleep better. They are available at super markets, and health food shops. Avoid late nights. Go to bed a little earlier and wind down by reading a book and enjoy a herbal tea. Latest update on November 22, 2010 at 09:35 AM by Janey39. This document, titled "After the festive season: drinks, soups and herbal teas," is available under the Creative Commons license. Any copy, reuse, or modification of the content should be sufficiently credited to CCM Health (health.ccm.net).